Unless you did time at the Gap or still have your mom doing your laundry, chances are most of your clothes are unfolded and tossed sloppily about your closet and dresser drawers. And that&apos;s cool—a little organized confusion never hurt anyone, but having to iron a shirt every time you want to wear it can get wearisome. <!--more--> STEP 1. Smooth out any wrinkles and lay the shirt face down on a flat surface with the bottom edge closest to you. STEP 2. Fold the shirt vertically down the left side and pull the sleeve toward the middle, leaving an inch from the left side of the collar. Repeat with the right side. Fold both sleeves back to meet the shirt&apos;s edge. STEP 3. 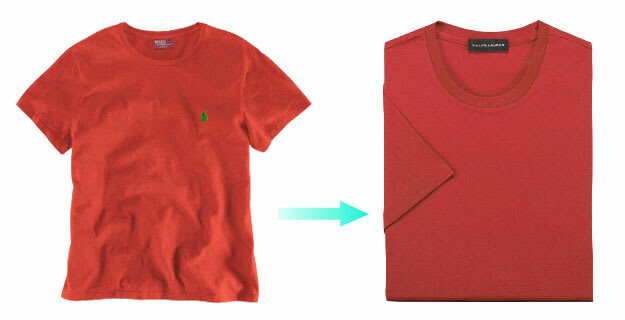 Bring the bottom of the shirt up and rest it just below the collar, creating a horizontal fold. STEP 4. Flip over. Now it should look just like Mom did it.